Geology Dolerite or whin cill. 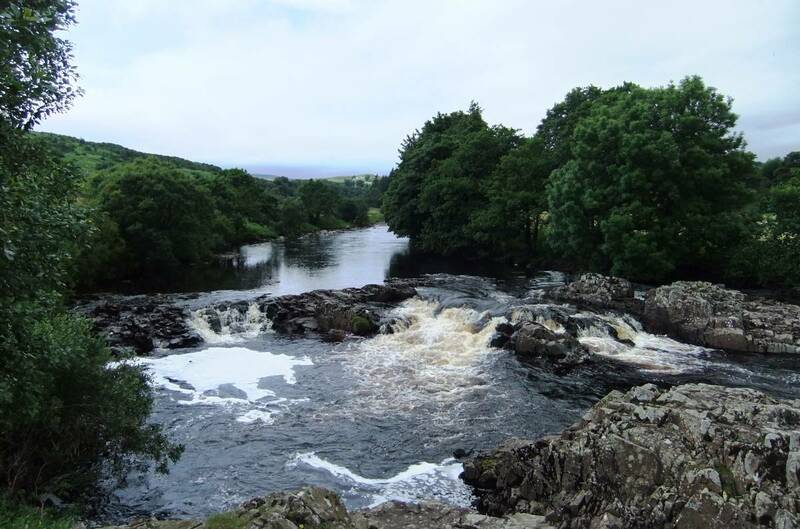 Island and falls in the Tees. Record Name Shrubby cinquefoil. (Potentilla fruticosa) in flower. 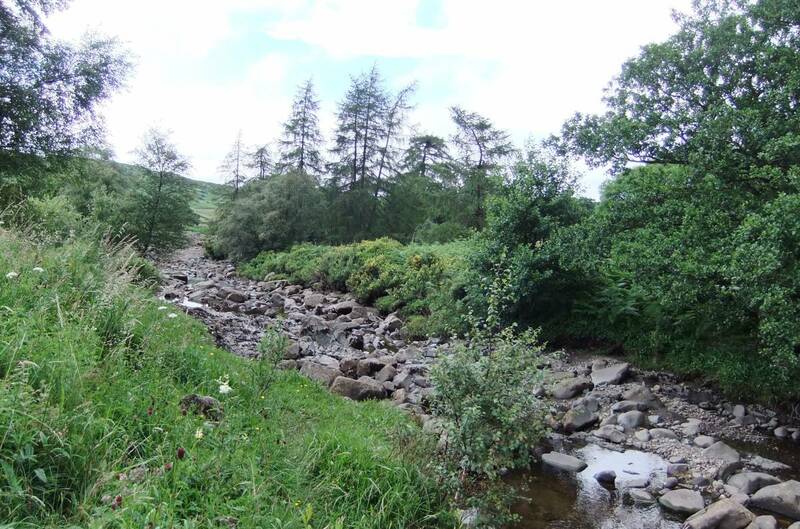 Upper Tees. 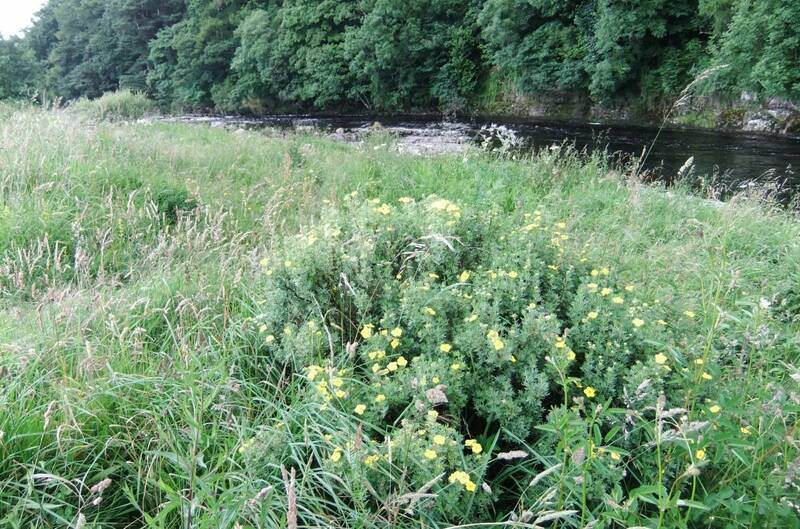 Record Description Shrubby cinqufoil (P. fruticosa) is one of the Teesdale rarities and has a disjunct distribution in Britain having been recorded only in Teesdale, the Lake District and on the Burren, Co. Clare on the west coast of Ireland. P. fruticosa has an arctic (circum-polar, boreal) alpine world distribution being found often at high altitude, in the Pyrennees, the European Alps, The Maritime Alps and in Scandinavia. 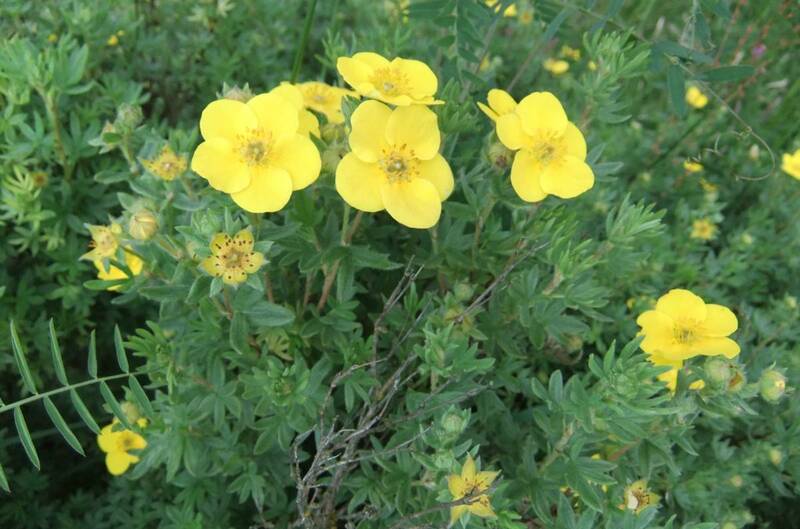 Additional Notes Cultivars of shrubby cinquefoil are popular garden plants and often seen in public parks. 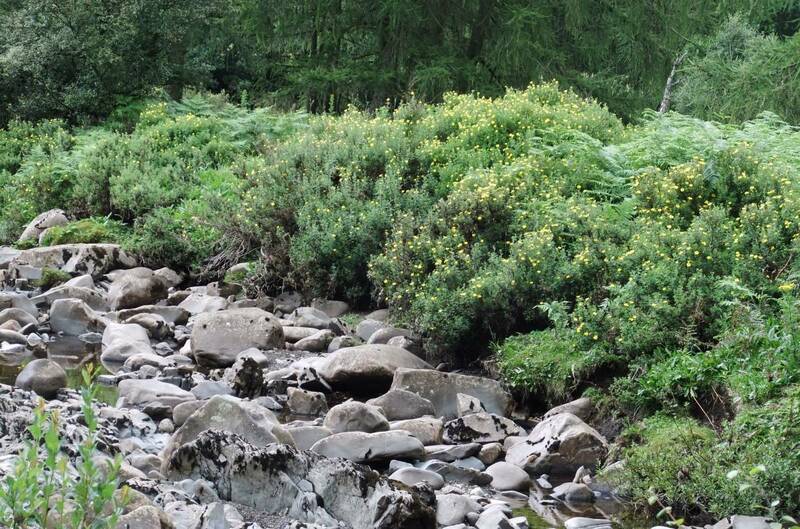 The colours of the cultivated varieties ar usually rather muddy compared to the clear yellow of the wild plant. 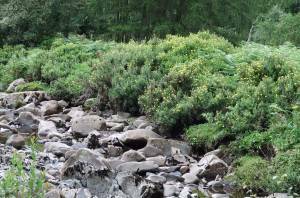 Following fencing the river banks to keep sheep away, scattered bushes of P. fruticosa are to be seen all along the banks and on islands of the River Tees upstream from Wynch Bridge. 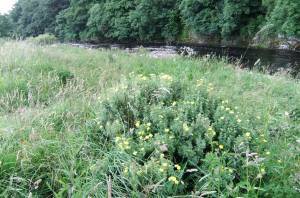 Image 1 Description Shrubby cinquefoil in flower, R. Tees Low Force. July 2012. Image 4 Description River Tees. Falls and pool above Low Force. Image 5 Description Shrubby cinquefoil (P. fruticosa).Isolated bush on the banks of the R.Tees,Low Force area.